Hollywood is well known for fake UI in movies – you know, “Unix is easy“1 or the “VB GUI Interface“. I’d say most geeks get a kick of seeing just how removed from reality Hollywood computers can be. PS: That blue wallpaper in the background looks awfully familiar too. Any mac-heads can confirm/deny? 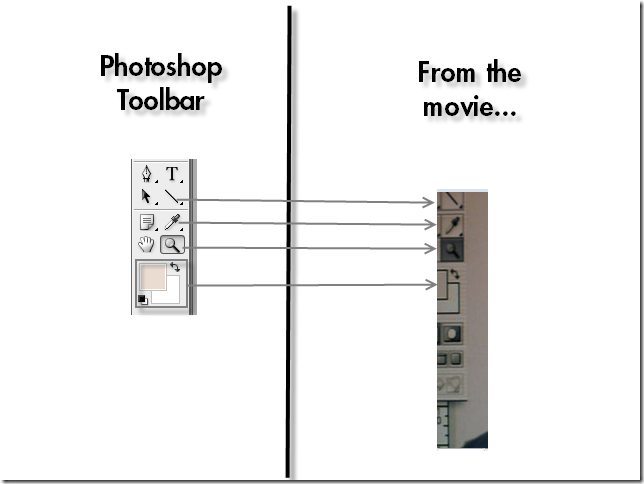 5 Responses to "Fake story, real UI –Photoshop in the movies"
It could be an old Photoshop running on Mac or something. Ashwin – Whoa! I did not know that 😯 . I’ve updated the article now. Can’t find any screenshots of the original FSN browser though 🙁 . Have you seen any? I think it’s Photoshop CS2 running on OS X Tiger, but I’m not sure of the versions.. I did a search on the standard backgrounds Mac offers and didn’t find a perfect match, although it looks similar to a couple of them. 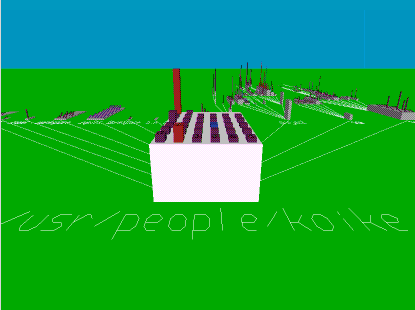 That said, I’m running Leopard. I don’t know if Leopard’s backgrounds are different from Tiger’s.